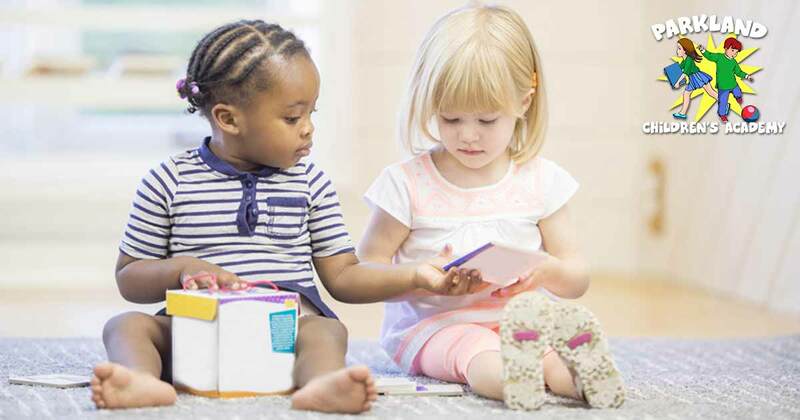 Preschool children are experiencing many changes and discovering new things about themselves that were previously unknown to them. Between the ages of 3-5, children are learning to enjoy their independence and prefer to do things on their own. The difficulty here is that this independence can sometimes result in a child becoming a bit selfish as they feel out what they like, what they don’t like, how to do certain tasks as well as having to interact with other children, teachers, and adults. As Valentine’s Day draws closer, we begin to see advertising and marketing in the stores – encouraging consumers to “show your loved one how much you care this Valentine’s Day”. As a family-orientated preschool, Parkland Children’s Academy agrees with this; however, we want to teach our children how to show one another how much they care this Valentine’s Day through compassion and empathy as well. What Are Empathy and Compassion? People often confuse sympathy and empathy. Sympathy is recognizing someone else’s feelings while empathy is the ability to recognize another person’s feelings and actually share those feelings. The best way to describe the concept of empathy is being able to put yourself in another person’s shoes. This means being able to understand a person’s feelings by imagining it was happening to you or you were in their position. Compassion is the desire to want to act on the emotions of others and relieve them from their suffering or limit the amount of distress they are in. Raising empathetic and compassionate children provides the future generation with social skills to handle an ever-changing world. By equipping children with these skills from an early age, you provide them with strengths needed for the workplace, social settings, and day-to-day life to ensure they are able to communicate with others and form strong relationships both personally and professionally. Before we are able to teach children how to empathize, children need to be able to recognize emotions within themselves. This involves labeling their emotions so that they may become self-aware. Self-aware children have a greater likelihood of turning into confident and caring adults, which is where empathy and compassion can thrive. Experts have identified that encouraging your children to label their emotions sets them on the path to becoming more self-aware and recognizing how they are feeling. For example, instead of telling your child that they’re feeling sad, ask them how they are feeling by giving them the words to respond. This leaves room for them to disagree with your interpretation and answer with a different emotion or confirmation of their emotions. By using the terminology “feeling”, children can begin to understand that this emotion is temporary and not who they are in its entirety. It is more a case of “I’m feeling sad right now” as opposed to “I am sad” which has a negative, prolonged connotation. Once your child has identified how they are feeling, you want to find out why they are feeling this way. This encourages open conversation as well as builds confidence to discuss emotions without shying away from the realness of things. Raising emotionally intelligent children begins with providing a foundation of openness and non-judgment, ensuring that they feel safe to discuss their feelings and do not regard this as being over-sensitive or something to avoid. By encouraging children to discuss why they are feeling a certain way, not only do you gain a unique insight into their way of thought but you also teach them about the cause and effect of emotions and circumstances, helping them understand how they got to these emotions from the start. These are the building blocks to developing feelings of empathy and compassion towards other people. Although it might be tempting to buy into red, heart-shaped candy and chocolates this Valentine’s Day, we want to encourage simple acts of caring and kindness. 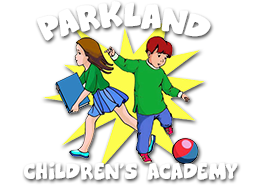 We at Parkland Children’s Academy believe that as the parent, you are their most important teacher. By giving children the love and attention they need, and taking the time to teach them how to show the true meaning of love, we provide them with a much bigger gift than any Valentine’s Day material item can. Taking the time to listen to your children and encourage them to talk about their day, their feelings, their friends and their dreams will create an atmosphere where empathy can thrive. By actively listening and responding, children will learn this behavior and use it in their daily encounters. Children’s brains are like sponges and they are constantly looking for examples to follow. They learn through repetition and action and this will be one of the most important ways you show your children how to care about the feelings, thoughts, and words of others. Through open channels of communication, discussing the consequences of behavior calmly will become much easier than scolding a child for being unkind or selfish. When children can begin to understand how their actions affect others, they will stop and think twice about their actions and whether they will hurt someone else. By showing kindness and compassion to others in these circumstances, children will see the effect of their actions and want to correct this. Over time, a deeper sense of empathy and compassion can develop. Allow your children to show their emotions whether it be anger, sadness or fear. If they are taught to handle these emotions, their emotional intelligence will develop and they will have a greater understanding of what other people may be feeling too. Recognize empathetic and compassion behavior. Encourage small acts of compassion like feeding the neighbor’s cat, baking cookies for a sick friend or taking them their homework, caring for their grandma or grandpa (the elderly) or giving back to the community through charitable causes for young kids. By providing your children with an opportunity to show kindness, you instill a culture of compassion. Showing your children, you love them through small acts of kindness like little notes in their lunchboxes or making them a gift instead of buying them a gift, will encourage them to do the same for others. The product of a loving and caring home environment will be an emotionally aware and compassionate child. Celebrate your child’s efforts regardless of their level of success. They will begin to understand the importance of trying and do the same when they find others in this situation. As Valentine’s Day approaches, talk to your children about what it means to love, care and be kind to others – sit with them while they make or write their classmates cards and talk about friendship, including others, showing kindness and being a good friend.